Jakarta, January 12th 2015 â€“ After having successfully launched Harper Hotels in Indonesia with the opening of the Harper Kuta in Bali last year, Archipelago International has now opened its second Harper in Yogyakarta. The new Harper sits on Jalan Mangkubumi just a short stroll from Malioboro and the Royal Palace, with Tugu train station being just down the road and features 131 rooms and suites, and the for Harper hotels typical â€œRustic Bistroâ€ signature restaurant, a spa, an outdoor swimming pool with a kids pool, 6 meeting rooms and a grand ballroom that can accommodate up to 400 guests. Following Harper's brand concept, the new Harper Mangkubumi â€“ Yogyakarta by Aston is a very modern hotel that has been infused with a rustic charm affording a warm and a welcoming residential feel. The hotels aims to cater to the needs of the Millennia generation which makes up the bulk of Indonesiaâ€™s growing upper middle classes, young families and tourist from overseas who seek international standards yet want to experience hotels with authenticity and character. â€œAlready during soft opening we enjoyed occupancies of well above 80 % which confirms that Harper Makubumi is about to replicate the success we had in Bali. The hotel is an attractive mid market addition to our other Jogja offerings such as the accolade winning 5 star Grand Aston Yogyakarta and the budget oriented favehotel Kusumanegara. We have aggressive expansion plans for Harper with several Harpers under construction in Jakarta, Cawang, Purwakarta, Borgor, Benjarmasin and Makassar, which you can follow on our website www.HarperHotels.com.â€ said Norbert Vas, Vice President Sales & Marketing of Archipelago International's. 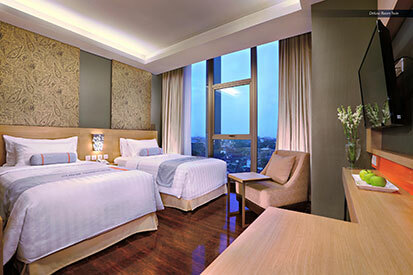 Seen in the image : Deluxe Room of Harper Mangkubumi - Yogyakarta by Aston. 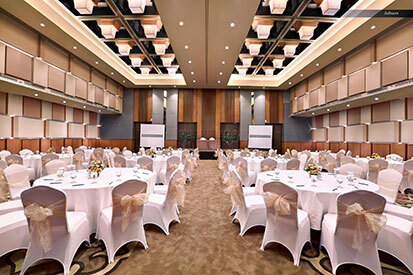 Seen in the image : Grand Ballroom of Harper Mangkubumi - Yogyakarta by Aston.